Gamers can use Xbox One controllers to enrich their gaming experience on their PCs. Using a console controller for PC games is a great way to make your game play more interesting and immersive. 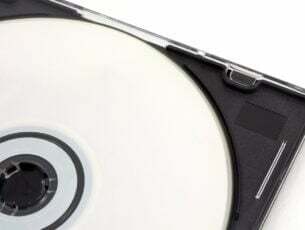 However, since the Xbox One is not built specifically for PC gaming, users may have trouble getting it to work on their Windows OS. So, if your Xbox One controller is not working on PC, then you will want to try out the fixes below. Speaking of Xbox controllers, if you use an Xbox 360 controller and you can’t get it to work, we have a dedicated troubleshooting guide for this problem as well. Follow the steps listed in the respective article to get your controller back on track. 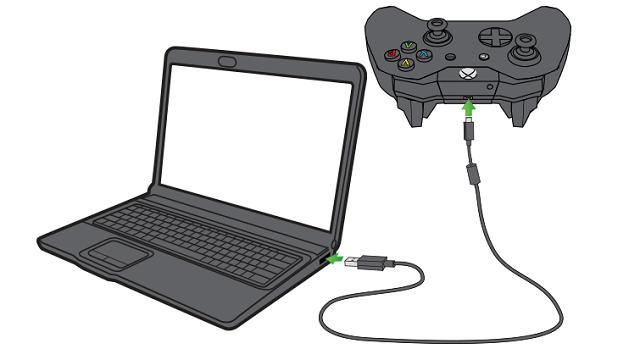 For Windows users, usually all you need to do is plug connect your Xbox One controller to your PC through a micro USB cable. Both Windows 7, the most popular OS among gamers, and Windows 8.1 OS will automatically download the drivers for the controller. You also do not have to worry about installing the drivers as Windows will do that also. However, if Windows is not automatically installing your drivers then you will need to update them manually. The next fix will show you how to update drivers for Xbox One controllers. Open Device Manager. You can always use Cortana to search for it on Windows 10. However, if you are using another version of Windows, then you will need to open the Run dialog. Do this by pressing the Windows key + R together at same time on your keyboard. Once the box is opened, type in ‘devmgmt.msc’. 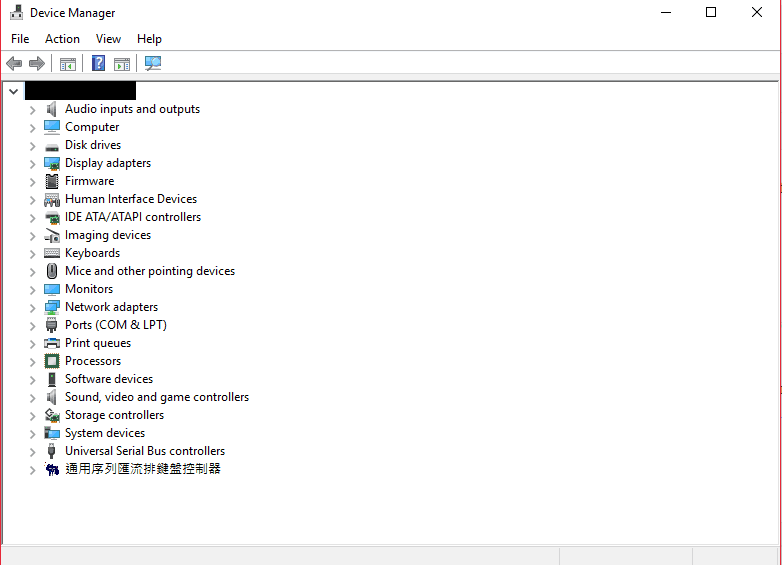 This should open the Device Manager, which will look like the picture below. Next, you will need to locate a section labeled “Microsoft Xbox One Controller”. Expand the section, then right click on the subsection with the same label. A list should appear as you right click. Click on Update Driver Software. Choose the option that will automatically update your driver software. You can of course alternatively browse your computer for driver software if you know what you are doing. This option can ensure you have the correct update. 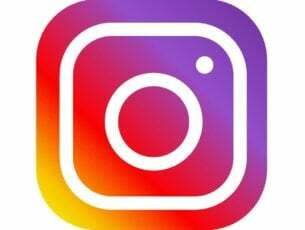 However, usually the automatic update will work perfectly fine. This may seem like a no-brainer, but it is astonishing how many users forget that their hardware could be causing connectivity issues. If you are unsure whether or not your cable or controller is working, then you can bring it to a computer store to get it tested. Also, try unplugging and plugging it back in. You’d be surprised how many times that can work. If you are using wireless controllers then you will want to check if the batteries need changing or recharging. Also, if you can, try using a different Xbox One controller. This can help you identify whether or not the problem has to do with your controller. Go to the Windows menu by pressing the menu key or by clicking on the Windows icon on the task bar. A Window with a long list of areas where you can troubleshoot will appear. Locate the section called ‘Hardware and Devices’. 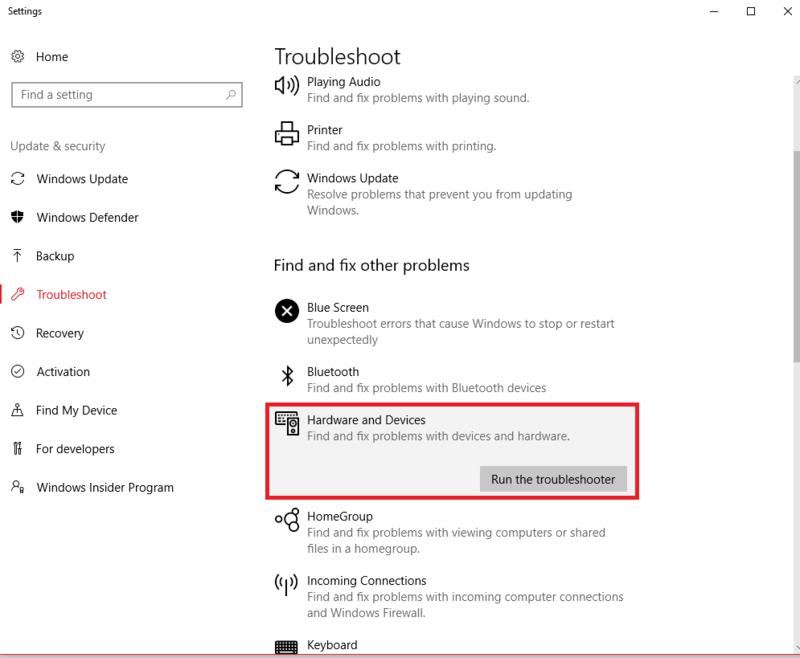 Click on ‘ Run the troubleshoot ‘ under that section. Windows will then automatically scan your hardware for any possible malfunctions and errors. Turn off both Windows Firewall and any antivirus programs you may have on. Turn your antivirus programs back on. There could be multiple reasons why your Xbox One controller is not working on pc. So, naturally there will be more than one way to fix this issue. Let us know which solution worked for you.